Are you all ready for Christmas? I am certainly not! Presents are all wrapped but house still needs cleaning, groceries need to be purchased before all the festivities begin and Claudia's card still needs to be made. Guess I need to get going. My post will be a quickie today. Here's a card I made for my boss…It was so late when I was making this so I needed to do something quick and easy. 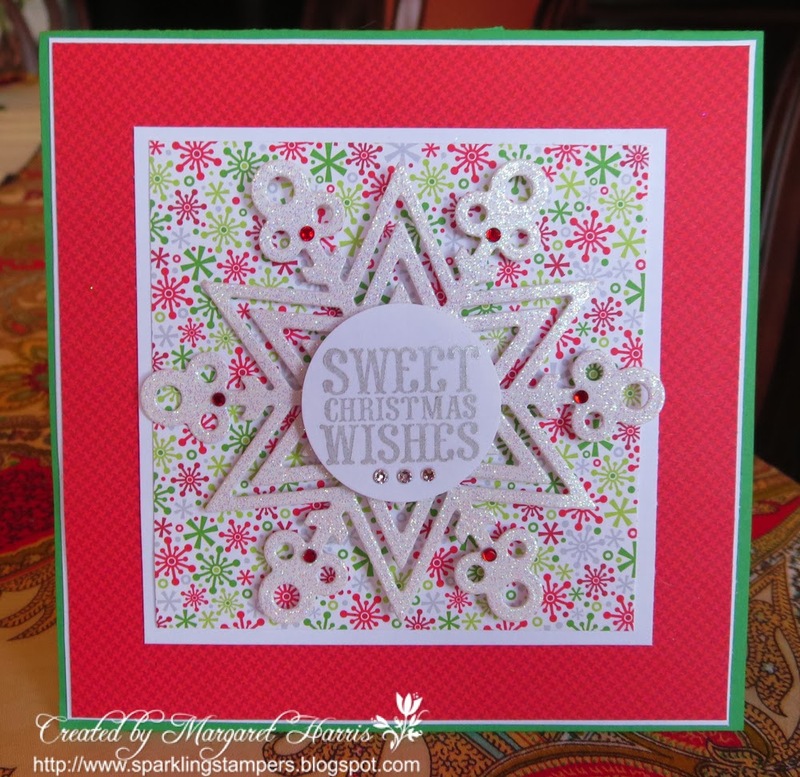 Doodlebug paper, MFT Snowflake die on glitter paper, Impression Obsession stamp sentiment and a touch of Swarovski and Voila…we have a card! I've been working on another detailed card for Julia which I will post tomorrow. She wanted one that outdid the one I made for my nephew and Kathy. Now THAT's a tall order. No challenges today but I hope this card inspires you if you need a few quick ones made. See you tomorrow…sleep well. PS. Check out all the beautiful cards we got from Kathy! (Below). THAT is our Christmas present! Thank you Ginny! You are always so sweet with your comments…I haven't been on the computer much lately so I just received this. I hope your Christmas was wonderful!